Top to bottom: 1. Orange,Olive,Mustard small. 2. Orange, Olive Mustard large. 3. Cream/Off White, Lt Blue, Blue, Gold. 4. Green, blue, red, black, gold Large. 5. black, red, blue, gold. 6. Green, blue, red, black, gold small 7. Black gold. 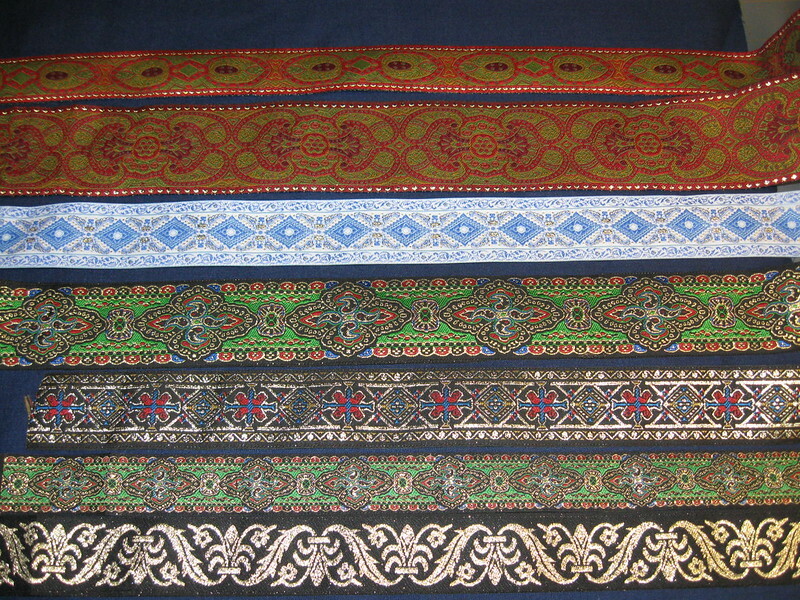 Not all trims may be available or applicable to your garment. There may be an additional charge as well. Please check prior to purchase.